When ex-Navy Seal, Wyatt Striker, returns from a trip to Mexico, where he had nearly taken a bullet to the head during a seemingly common break-in, he discovers his sister-in-law tied to a chair in the kitchen, his son gone, and a ransom note. His intuition and training lead the way as he tries to outsmart the captor, who, unknown to Wyatt, is a deadly assassin bent on luring him into a weak position. Wyatt Striker returns from Mexico and an attempt on his life. He finds his son kidnapped. But this doctor and ex-Navy Seal are not just going to follow directions on a silly ransom note. Wyatt creates his own plan to hunt down and take out everyone that has messed with his family. He will use all of his skills as an ER doctor and SEAL training to find out where his son is, why Wyatt is being targeted, stopping a drug cartel, and saving a senator. This story starts with and bang and doesn’t stop until the end. Wyatt is quick witted and had experience that helps him through this tangled maze. I love how his is willing to do whatever it takes to get to that next step. It’s not always pretty but it definitely has results. I really enjoyed how there is way more happening than you first see. 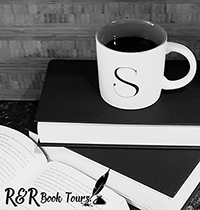 If you are looking for an action packed thriller/mystery make sure to pick up this book. You will not be disappointed. Now I just hope Brent Rock Russell is quick to write the second book in this series. To purchase Caged Lightning make sure to visit Amazon, Barnes and Noble, and Goodreads. 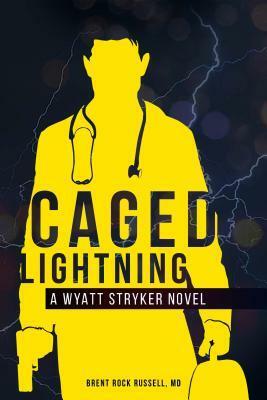 I received Caged Lightning for free from Elevate Publishing in exchange for an honest review.